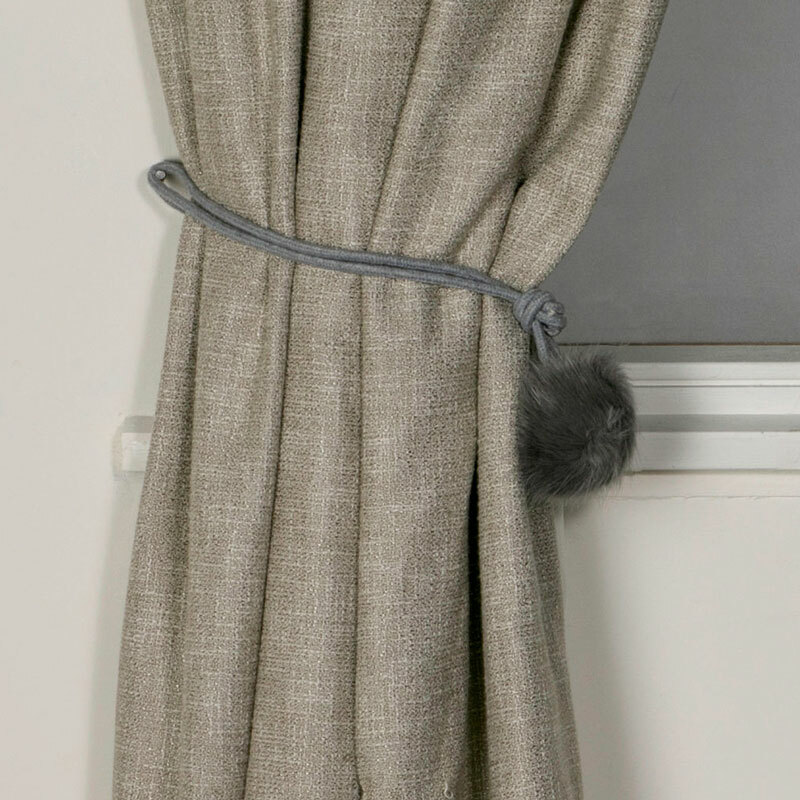 Accessorise your home decor with these fluffy grey pompom tiebacks. A fantastic look for a girly room. In a pair, these are ideal for arranging your curtains and letting the sun shine in through the window. A great look for a girly bedroom or boudoir. Accessorise your home decor with these fluffy grey pompom tiebacks. A fantastic look for a girly room. In a pair, these are ideal for arranging your curtains and letting the sun shine in through the window. A great look for a girly bedroom or boudoir. Made from fabric in a grey colour, each tieback comes with a rope holder for great support. Take a look through our fantastic selection of gifts and home accessories with something for everyone.